Holy display Batman! 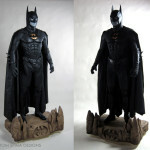 A lighted bat-signal themed base to display an original Batman and Robin movie cowl. 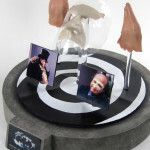 One of our clients brought us this Batman and Robin movie cowl looking to have a custom bust display created for it. 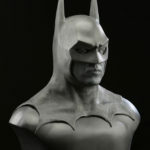 This Batman “Panther” cowl as it became known was worn by George Clooney in the 1997 film. To support the Bat-cowl, which was made of flexible foam latex, and to help it retain it’s pristine condition we created a custom head insert. This insert helped fill out the head form and support the shoulders of the batman mask, helping support the cowl over time with out putting any unnecessary pressure from the display post. 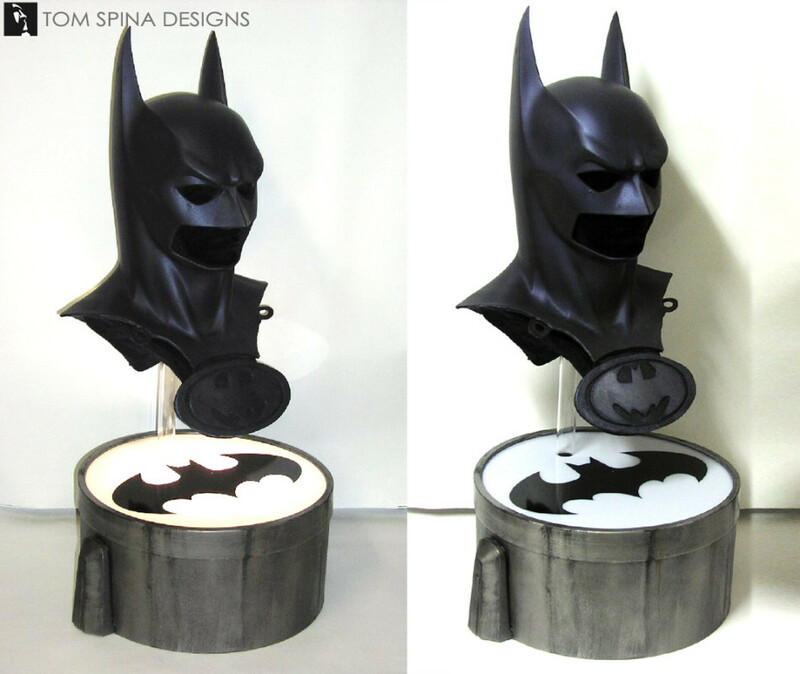 For the base of this Batman cowl display, we decided to go with one of the most iconic symbols of Batman, the bat-signal! 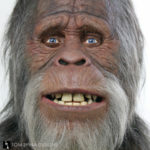 The base was created out of wood and then given a faux metal paint job. As a fun and unique touch, we made the base light up for an even more realistic bat-signal look. 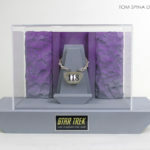 This also created a bit of a dramatic uplighting on the display bust. As the screen used bat symbol was missing from this Batman and Robin movie costume piece, our artists created a simple black-on-black bat-symbol to add to the chest and help visually complete the mask for display.